Our flowers are mostly u-pick for our CSA members and also sold as flower bouquets at the Chelsea Farmers Market on Saturdays. They are also available for non-members for $5-7/bunch (between 10 to 20 stems per bouquet depending on the flower variety selected). We usually don’t open for u-pick until July, because that’s when most of the flowers are ready, but for special occasions, such as weddings, we do allow some of our spring and early summer flowers to be harvested. We will make flower bouquets when requested for small orders (under 10 bouquets), but mostly encourage you to pick your own flowers. Most wedding customers make this a very special event of having close friends and family members come and pick the flowers they would like to make into what I call, “country bouquets” for the reception or rehearsal dinners. It’s a relaxing, peaceful time out in nature away from the hub bub of wedding preparations. Most people will come to pick their flowers a day or two before the wedding. We do not usually make bouquets for large orders, but offer tips on harvesting and longevity. I can provide the clippers or scissors, if needed, and you supply the clean container or bucket to take it home in. 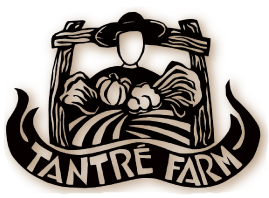 Please contact Deb at 734-385-6748 or info@tantrefarm.com for questions about flower picking at the farm and flower prices.